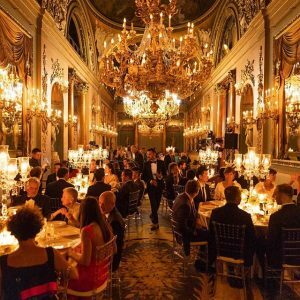 Friday night Palazzo Borghese was the setting for an unforgettable charity night event. Soft lights and many VIP guests have followed one another on the red carpet. 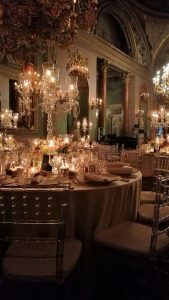 An event planned by the London-based company Hagannettwork led by Lee Joseph who has entrusted the realization of the entire event to the Palazzo Borghese team. An amazing atmosphere in the Palazzo Borghese’s Monumental Gallery, certainly one of the most beautiful and fascinating banquet halls in Florence. 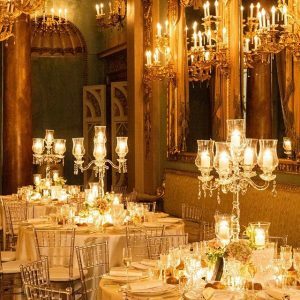 Renaissance and Romanticism, two historical epochs of great charm, are protagonists in these rooms for events in Florence. Also Nicoletta Mantovani, widow of Luciano Pavarotti the great tenor, was there. The mission of the charity night was to devote part of the obtained to the Pavarotti Foundation for the emerging singers. Zeffirelli‘s son and Eva Cavalli are just some of the most important names protagonists of the evening. Many models with “famous names” such as David Gandy, Richard Biedul and Oliver Cheshire were the most admired ones by the ladies present at the party. Great elegance in this event venues in Florence, in this beautiful and sparkling night. If the men wore tuxedos of the most varied colors, the ladies were certainly not far behind in their wonderful long dresses. 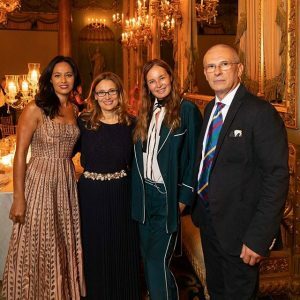 Even some names of the italian’s entertainement and television world such as Elisabetta Pellini and Rula Jebral didn’t miss the party placed in Florence at Palazzo Borghese. An amazing Video from the famous singer Cher was projected during the dinner as a gift to Luciano Pavarotti. The menu prepared by Chef Osvaldo Ercolano, historical figure of Palazzo Borghese, included 3 courses. Therefore a very English style tart such as Lemon curd tart was suitable for international guests as well as appreciated by everyone. A success for Palazzo Borghese that, as always, doesn’t disappoint the expectations ……..